This Bride & Groom Are The Coolest - And So Is Their Wedding! You know what is the best kind of wedding? When you do everything exactly the way you want to, even if it’s a bit out there! Forget traditional mandaps, this couple got married on a BOAT floating in the middle of their venue. And if that’s not style, we don’t know what is! This super-cute couple seemed to be enjoying each and every one of the functions without a care in the world, just lost in the happiness of celebrating their love. And their emotions are so contagious that even the wedding party can’t help but jump up and join in! 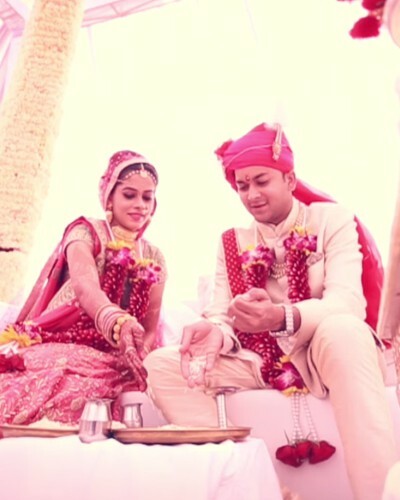 Sakshi and Nipun, we hope your marriage is as full of joy and laughter as your wedding was! https://youtu.be/svYCrv6QjM8?t=51s MUST-READ: #Aww: This Bride & Groom Are SO Happy To Be Getting Married! MUST-READ: #Aww: This Beautiful Wedding Reminds Us WHY People Get Married!